Our Personalized Mirror Wedding Card Boxes are NEW! Instead of panels made of glass, mirrors are used instead! 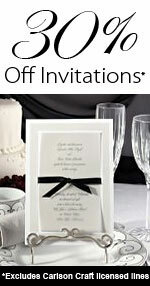 It will look very elegant on the gift table at your wedding! Octagon is the only shape available. We have 3 sizes to choose from. They are truly beautiful! These are also wonderful keepsakes for Anniversaries, Quinceaneras, Birthdays, Sweet 16, Going Away Parties, Graduations, Baby Showers and Corporate Gifts! You will treasure this beautiful keepsake forever! Our Mirror Wedding Card Boxes are supported by a beautiful furniture grade moulding that is available in 6 different colors: Black, Cherry, Walnut, Gold, Silver and White. They are designed with a slit in the top to allow for cards and envelopes. The lid hinges open from the back to retrieve cards. Choose from 12 designs, 11 cliparts and 4 font choices! Each Mirror Wedding Card Box is engraved with the Bride and Groom's First Names, Last Name, Wedding Date and/or Location on the front panel. Additional engraving on 2 panels is available at an additional cost of $15.00, if you want to include the names of your attendants, or have a poem, prayer or Bible verse engraved. Please put in the comments section that you would like to have 2 panels engraved, and we will charge your card an additional $15.00 and send you a receipt. Then, send us an email with the extra engraving that you would like on the right and left front panels for the octagon shaped box, OR on the side panels for the rectangle shaped box. We will follow-up with you in an email to verify your information.